Boundary studies is a rapidly growing field of interdisciplinary research that is increasingly relevant in historical research, for example, through studies on trans­national or migration histories, global and colonial environments, relations of humans and animals or technical systems. After a successful conference in Zagreb where we tackled boundaries as contact zones in between, we would like to turn inwards and address the phenomenon of boundaries as internal processes. An environmental historian negotiates constantly the boundaries of its own field and others, but also the boundaries between humans and non­humans, environment and technology, bodily and external, local and global. None of these boundaries are fixed, but constantly redrawn and challenged. Boundary zones mediate the contacts with other areas and act as filters for innovation, where difference and similarity need to be constantly negotiated and enacted. Highly relevant for environmental history are ecological boundaries that create various possibilities and affordances by their sheer existence but that can in their turn be re­drawn by human activities; or geographical boundaries that create different contact zones, facilitate or complicate communication and migration of humans and non­human nature. All these different boundaries may coincide with current administrative boundaries but most often they do not and are differently practiced by humans and non­human agents. Often, the boundaries can shift or change their character. A river or sea that once was a connecting path for boats, now means an obstacle for those crossing a terrain in a petrol­-powered vehicle. An infinite object such as our planet can become a bounded and finite phenomenon. An external technical system such as nuclear power plant can become infused with our bodies through radiation. Our particular interest lies in trans­national co­-formation of environments, ecological niches, cross­overs, hybrids, migration; boundaries as mechanisms for creating new possibilities, opening up new channels for information exchange, facilitating coexistence of different groups, both humans and other species. The concept of boundary is also appropriate for bringing attention to the inherently interdisciplinary nature of environmental history and highlighting methods of participatory and activist research. 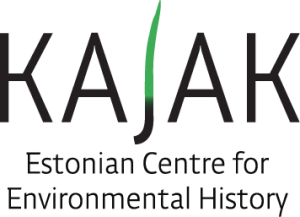 Crossing boundaries in/of scientific knowledge: pedagogical challenges of teaching environmental history. 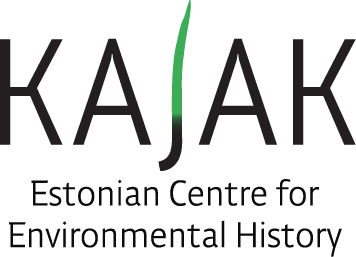 The conference also accepts papers on environmental history that do not fall under the umbrella topic of boundaries. The conference covers all periods and all areas of the globe and is open to scholars from all disciplines and backgrounds. In order to strengthen diversity at the conference, we are giving preference to panels where the presenters come from different regions within or beyond Europe, different institutions or different disciplines. We also encourage the presenting teams to observe gender and age balance and to use emergent scholars as session chairs, in order to provide better visibility to younger generations of historians. Graduate students will be offered a special reduced fee. Formats permitting a joint discussion of a single theme or book as a part of the panel session. Formats that allow sharply focused commentary from the audience early on. Formats in which a single, major paper, primary source material, film, or book is the subject of attention and on which other papers and all the commentary are focused. Panels in which participants present one another’s work rather than their own. Roundtables that examine teaching in the field or that explore innovative approaches to teaching a particular subject. Each person can be a primary presenter in only one panel, roundtable, or other session proposal, but can also serve as a chair or commentator in a second session proposal. The conference language is English; no submissions in other languages will be accepted. All proposals will be reviewed by the ESEH Program Committee. All proposals should be submitted through our online submission system (see links under each submittal type below). The deadline for submittals is October 31, 2018. Questions about proposals should be directed to the Head of the Programme Committee, Prof. Finn Arne Jørgensen, University of Stavanger, through the email conference@eseh.org. Download a copy of the ESEH 2019 CFP as a pdf file. Sessions are 3 papers of 20 minutes each or 4 papers of 15 minutes each. Other formats (debate panels, roundtables) should be submitted under the Roundtable or Experimental session categories. Session proposals will include a session title and session abstract of 200-300 words; list of contributors and a chair; and individual paper titles and abstracts of 200-300 words each. Session proposal may also include a commentator/discussant in place of the fourth paper. Nevertheless, all sessions should include sufficient time for general discussion. Contributors may also submit individual papers of max. 20 minutes, which will be combined into sessions of three to four papers in case of acceptance. However, scholars should take note that the scientific committee has a certain preference for session submissions, and that it cannot guarantee thematic coherence for the resulting sessions. Paper proposals are to consist of an abstract of 200-300 words. Poster proposals will include an abstract of 200-300 words. Poster session will have a designated area for display, but a special plenary session will held for all authors of posters to present their research in 2 minutes time per poster. The Environment & History Poster Prize sponsored by The White Horse Press is awarded to the best poster (€100 award) and the 2nd place poster (€50 award). We welcome proposals for non-conventional sessions through which proponents wish to experiment with creative formats, such as hands-on workshops, tool demonstrations, and open discussion forums. To submit a proposal for a special session, please provide a 300-400 word abstract, describing in details the activity. Please include in the proposal any special logistical request you might need.